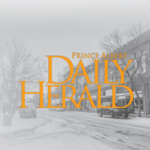 Prince Albert Mayor Greg Dionne said he foresees a small tax increase for Prince Albert residents as city council prepares for two days of budget deliberations. The proposed 2017 Municipal General Fund Budget released by the city’s financial services department is set at $70.4 million. That represents a $1.2 million increase from 2016. Roughly $964,000 of that $1.2 million is expected to be covered by tax increases and grants-in-lieu of taxes. On Monday, Dionne said there would likely be a slight tax increase, but emphasized that nothing was final. Dionne said the goal is to set tax rates as low as possible and added that although the city certainly has priorities, councillors would review all programs to make sure they’re getting the best bang for their buck.